With this calculator you can easily work out the desired weights required to make up any two-part mixture that is given as a ratio. 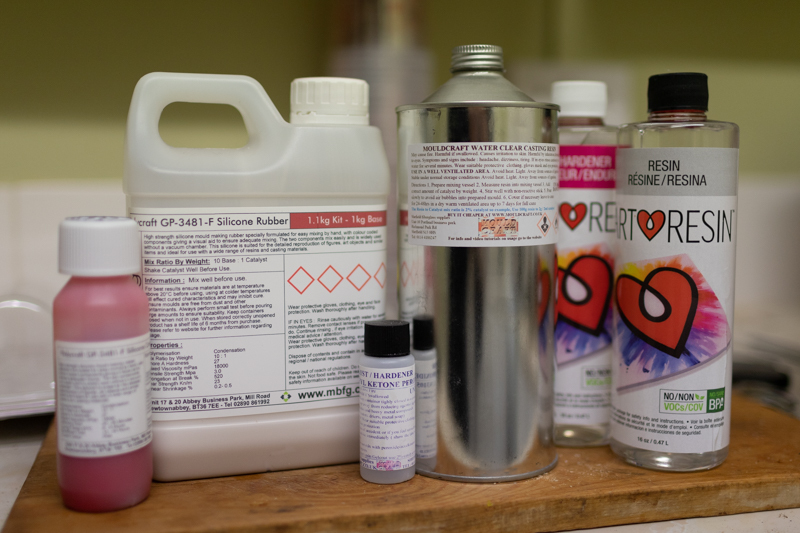 The most common being epoxy resin which is made up of a resin and a hardner, but this can also apply to other mixtures, such as silicone rubber for moulds. Using an accurate pair of scales it is easier to work out the amounts needed by weight rather than volume, there are two methods for weighing out your desired quantity; with three cups measure out the resin and hardener separately and then mix together in the third. Or with a single cup weigh out the larger of the ratio, normally the resin, and then top up with the hardner to your desired weight and then mix.